My mother, Carole and her mother, Doris. Mum and Mama. For me it is all about legacy. There has been a great legacy left to me by my mother and my grandmother, as well as other ancestors. I am honoured to have received from them my family’s musical gift. While I inherited very little else from them physically, I do have similar hands to theirs; obviously a pianist’s hands. I inherited their ear, which will pick out an alto harmony as quickly and easily as hearing the melody. And I inherited their accompanying skill. As I have not been blessed with children of my own, I have had to look elsewhere for an outlet to share this treasure. Not only what I have inherited, but everything I learned along the way to help me put it all into practice. I want to help somebody else start their own family memories. Growing up, music was a tremendously large part of my life. So much of our family life revolved around music. Much of this was also connected to our church, but music extended beyond that as well. Our family was part of a large church of very musical people (most of whom were related to us somewhere down the line). It was quite common for the congregation to naturally break into four-part harmony during the hymns. 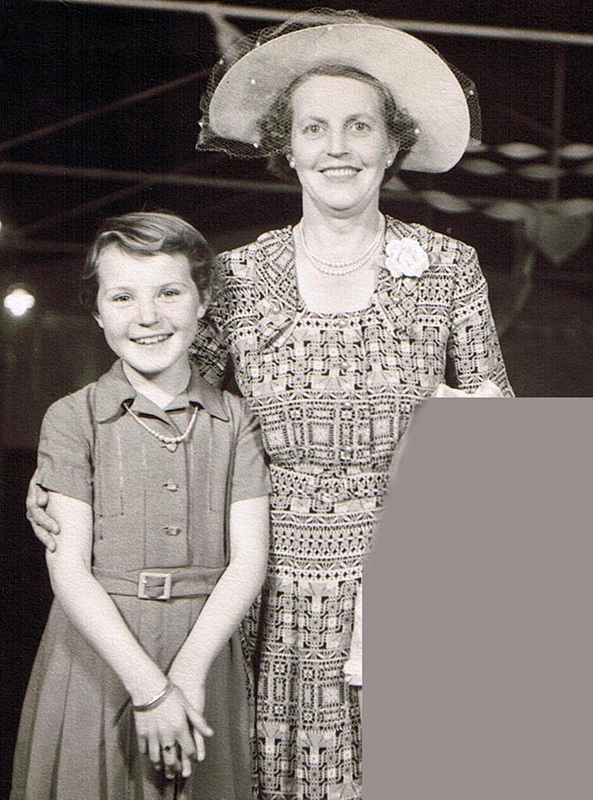 Mum and Mama (my grandmother) shared the job of church organist, a role each of them held from their teenage years right up until they were no longer physically able to play. They also played for all weddings and funerals held at the church. We had a reputation in the area for being a very musically-talented church and often hosted functions where music was shared with the wider public. The church was also well-known for putting on great stage productions and although the congregation was smaller by the time we were old enough to participate, we still carried on the tradition. Mama always provided the accompaniment. My sister and I even produced shows ourselves when we were older. My fondest memories of growing up with my sister are the times we spent together singing and playing duets. Singing in church on Christmas morning with Mum conducting us and Mama accompanying us. When we were teenagers, Mum and Dad formed a teen singing group (called ‘Heritage’) and we performed around the region. Mum was the musical director and arranged all our songs while our accompanist was, yep you guessed it… my grandmother. She said we all kept her young! I moved on to working musically in other areas, becoming involved with the local amateur theatre scene, including a few stints as a musical director. Once, when I had an absent band member, Mum jumped in at short notice and played a whole week of shows for me. Good accompanists are hard to find (it’s so much more than just being able to play) so in later years when Mum was the director of the local ladies’ choir, Nova Chorale and needed an accompanist, I helped her out for a couple of years. She also accompanied half my HSC music class for their practical exam. While I feel most musically aligned with my mother and grandmother, there are other musical influences in my life. My Dad was a wonderful violinist in his younger days, and still has a good ear and a lovely singing voice. He was always fully involved in all our musical endeavours and used to buy me little instruments (like a fife and a harmonica) on a whim so I could “give it a try”. Mama had brothers with beautiful voices and married a lovely tenor in my Grandad. Grandad used to sing to all the grandkids as he bounced us up and down on his crossed leg (Diddley-um words sung to the melody of ‘My Dreams Are Getting Better All the Time’ comes to mind). Second from left, my grandfather. Second from right, my Dad. Far right, my great uncle (Mama’s brother). Great family male voices performing as a barbershop quartet for one of our Music Hall reviews. It was only after my mother passed away that I found recordings of her and her mother playing together (the recordings had been played after my grandmother’s funeral, when I had already left the church). How incredibly precious are these recordings! They bring me to tears every time I listen to them, because they are a symbol of everything that is dear to me, as well as those we have lost. Beautiful memories. So you can see how I have been immersed in music my whole life. And why I want to pass it on to others. As well as the times you can share with others, you will also never be lonely when you can play an instrument. This is why it is important for me to teach my students above all else a love of music. Technique is still important, even for non-exam students, as it provides them with the skill they need to play the pieces they enjoy. But it’s all about getting to that stage where you can simply enjoy the music and how it makes you feel. This entry was posted in Uncategorized and tagged adult piano lessons, music lessons, piano, piano lessons, piano lessons Newcastle NSW, piano lessons Wallsend, piano teacher, piano teacher Newcastle NSW, piano teacher Wallsend, Wallsend NSW on July 15, 2015 by Merri Bell.